Installing ContactPigeon app on Shopify takes just a few clicks. After which, you will get access to our full range of marketing automation and analytics features. With our drag & drop email editor, you can create great looking and mobile responsive email campaigns in no time. We also offer more than 140 and growing number of ready to use email templates for all occasions and purposes. Choose your template, customize and start communicating to your subscribers. Running a successful Shopify store requires round the clock dedication. That’s where our marketing automation features come in. It’s like a 24-hour vigilant assistant with Superman (or Superwoman if you prefer 😊) power. It responds to your customers just as you would in the most timely manner to ensure that your visitors receive a personalized message at the right moments. Engage your visitor as they browse the products on your site, abandon items in the cart, re-activate dormant customers and more. Use dynamic pop-up forms and push notifications to capture more sign-ups. It’s easy to custom the form to fit your brand. Adjust the timing, placement, and condition of it to appear in order to engage visitor at the optimal point within their browsing journey. Also, access 40+ pre-designed pop-up templates to inspire your creative designs. Did we mention that we see an average of 78% growth rate in contacts? Generate personalized product recommendations based on the browse and purchase history of your customers. Embed recommendations within your email campaigns. You can define your own product recommendations or let our algorithms define the best converting suggestions. With ContactPigeon, you can fully track all visitor website behaviors and eCommerce history as they browse and shop on your Shopify store. This data is further integrated with their campaign reactions and characteristic data (e.g., gender, location) to build an enriched profile. Use these insights to better segment and target your audience interactions. Our platform automatically generates most used eCommerce segments for you – whether if that is 1st-time customers, inactive customers, or frequent shoppers. This allows you to quickly zero-in on the key segments for next step actions. Furthermore, you can define customer segments unique to your business. Segments can be generated based on sign-ups, campaign responses, and web history. Monitoring your campaign performances in one-glance. We help you track engagements, growth and revenue attributions so you have the information you need to improve your business. What Makes ContactPigeon Different, You Ask? Aside from all our advanced features, there are 2 key aspects that make our Shopify App stand out. If you use disparate tools for email marketing, pop-up forms, web analytics and segmentation, then ContactPigeon is really the one for you. We combine the power of email marketing, segmentation, marketing automation and more on one single platform. No more need for tracking multiple log-ins, configuring integrations, and consolidating marketing data. You get all in one source. And no coding required. We believe that customer success is the key to our own success. That’s why we have a dedicated customer success expert by your side every step of the way. When you first come on board, you will be surveyed on a key marketing goal of yours. Your customer success expert will analyze your Shopify store, provide ideas towards your goal and work with your marketing in executing the plan. We’d like to see ourselves as an extension of your marketing team. Now, ready to give ContactPigeon’s Shopify App a spin? ContactPigeon helps you grow more subscribers and drive up sales with deep data insights and advanced automation. 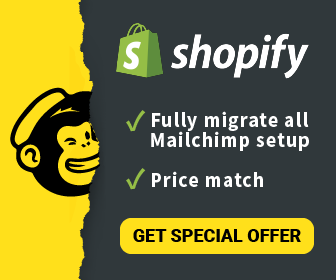 Now with our Shopify App, the integration is even more seamless. To see how it works in action, connect your store! We’d love to show you around.